Last summer, when Jo-Ann asked us to put together a small project for them, we thought it would be fun to make a little bow belt that could be used to dress up all sorts of outfits. The free downloadable pattern, which we’re making available now on our website, comes in two different sizes: one for women and another for girls. You can make it for yourself, for your daughter, or even as a matching mother-daughter set. 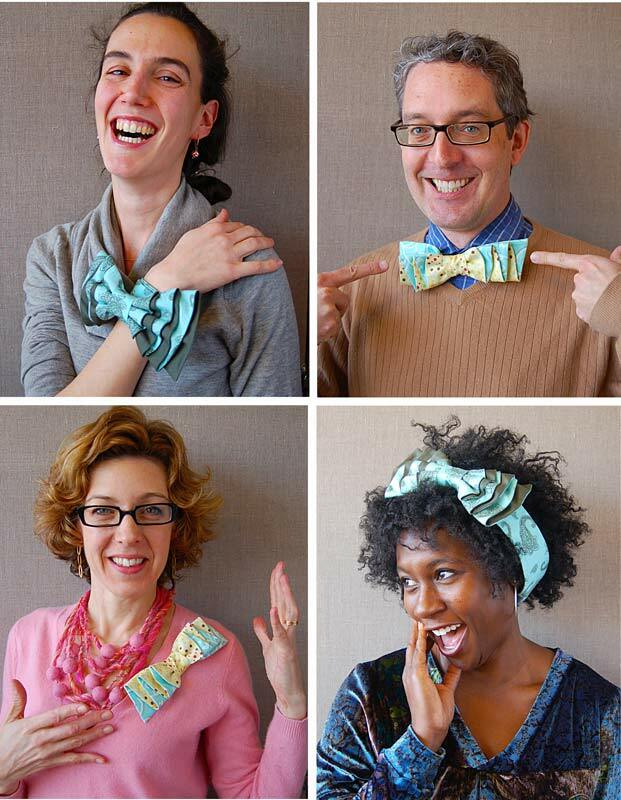 But of course the bow alone can be used for lots of other things besides a belt. We got a little silly in the studio the other day demonstrating some of the many ways you can wear it. So have fun with it! I’m sure you’ll find some ways to use it that we didn’t think of. 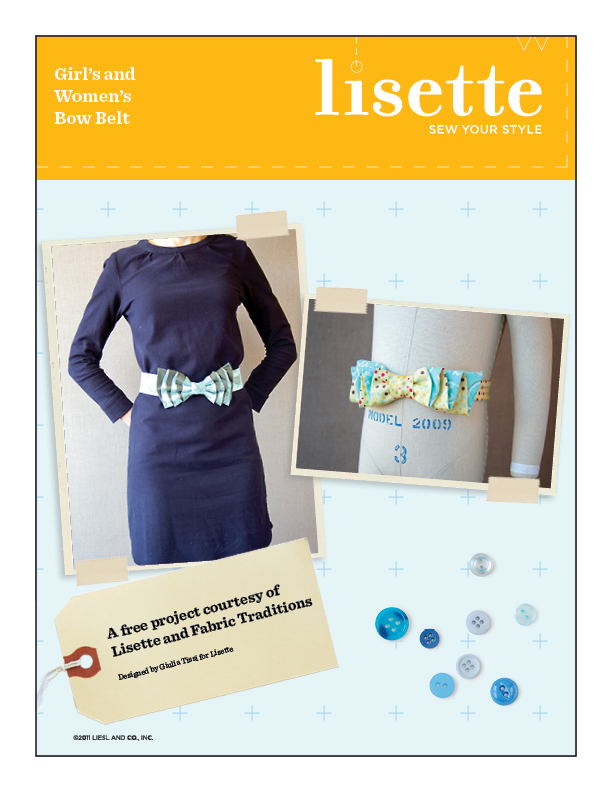 You can download your free copy of the pattern from our website. Enjoy! We can never get enough bows in our house-Thank you!